During the 19th and early 20th centuries, Canada actively recruited three classes of immigrants: farmers, agricultural workers and domestic servants, including porters. The demand for urban and rural household help could not be met internally. In response, the government of the day developed an immigration policy intended to draw suitable British single women, ages 17 to 35. This policy would have a major impact on the number of women entering the country as domestics. Before the First World War, 75 percent were from the British Isles. 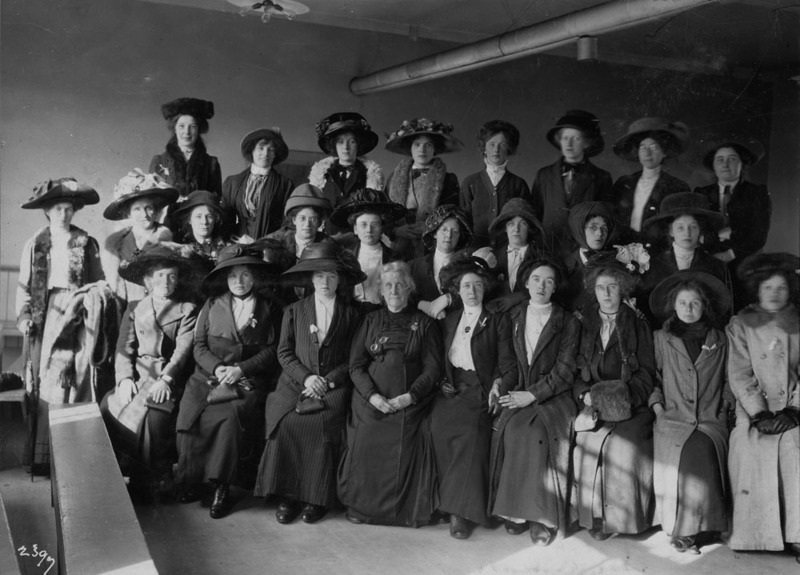 In 1904, 2,523 women entered Canada as domestics. This figure rose to 4,467 in 1906 and continued to rise until the beginning of the Depression (1929). Library and Archives Canada holds many series of records regarding domestics sent to Canada. They are described in the guide Records on the Immigration of Domestics. This society was established in London in 1875 to provide support and protection for girls and women in urban employment. The society encouraged and assisted some members to immigrate to the British colonies. The society’s Canada Commendation (emigration) Registers, 1910-1927, are indexed and included in this database (volumes 63 to 71, registers 8 to 16, microfilms A-1194 to A-1198). Note that these registers include names of some women who were coming to Canada to be married rather than to work as domestics. Only the basic details were input. More information is found on the pages cited in the references. The records are not digitized. Files in this series that contain lists of names were indexed and all details about those individuals were input. The records are digitized. These records contain 104 names of farmers, farm labourers and domestic servants from the British Isles. From April 1905 to August 1908, Benjamin Pipe was engaged in the business of bringing out domestic servants and other immigrants to Canada on a commission basis and was a booking agent for the Canadian Pacific Railway Atlantic Steamship Lines. These records contain 285 names of female immigrants of Scandinavian origin to be hired as domestic servants all over Canada. These records contain 4,810 names of black immigrants coming from the United States to work as porters for the Canadian Pacific Railway company. These records contain 107 names of female immigrants from Guadeloupe to be hired by families living in Montreal, Quebec. These records contain the names of 1,506 female domestics. The Girls’ Home of Welcome was founded in 1897 and Mrs. Helen Sanford later became the matron. Located in Winnipeg, the Home was used as a receiving centre for immigrant domestics and as a registry office where the women could register for work. These records contain 486 names of female immigrants to be hired as domestic servants all over Canada. Over the coming years, more entries will be added to this database as additional records are identified and indexed. This research tool provides access to 8,653 references to names of domestics and some Black porters who arrived in Canada between 1899 and 1949. Names appearing on lists contained in the Central Registry Files series of the Immigration Branch (RG76 BIA) held at Library and Archives Canada were indexed. Please note that all the information appearing on those lists was entered in the database and therefore it is not necessary to consult the original documents. In the case of the Benjamin Pipe and Helen Sandford records, and in order to provide more complete information on each individual, passenger lists held at Library and Archives Canada were also consulted. Names were also gathered from some volumes of the Girls’ Friendly Society fonds. You can enter a surname and/or given name. Note that some entries include only an initial for the given names. Try searching by surname only. You can also enter any term in the keyword box. When you have entered your search terms, click on "Search". The number of hits found will be shown at the top of the results screen. Your search results will be posted as a results summary list from which you will be able to obtain more detailed descriptions. Click on the underlined item number of a person to access the Item page, which contains additional information specific to that person. How long engaged as farmer, farm labourer, gardener, stableman, carter, railway surfaceman, navy or miner? Last occupation prior to sailing? How long so engaged? Are you a British subject by birth or naturalization? Destination in Canada/Intended occupation in Canada? Ever been in Canada before? Did you sign application for ticket? Have you a situation to go to? The presence of this form for an individual is confirmed by the mention “yes” under the label Emigrant’s Application for Ticket. To suggest a correction, click on the “Suggest a Correction” link to access an electronic form. To return to the Search Results page, click on the Back button of your browser in the upper left corner of your screen. References from the Girls’ Friendly Society fonds (MG28 I349): The records are not digitized. Consult Access the Records for options such as ordering copies. References from the Immigration Branch, Central Registry Files (RG76): Digitized images of the documents are available free on our partner's website, Canadiana’s Héritage Project. Click on the microfilm number in the reference to access that digitized reel and then browse through the images by using the drop-down list. You can skip ahead through the images to find the relevant volume and file number. Note that the function called “Search within this reel” is not applicable to these archival records. Consult Access the Records for other options such as consulting the microfilms onsite. Please do not submit copy requests because we do not provide copies of records that are already digitized online. Records on the Immigration of Domestics. Immigrant Domestic Servants in Canada by Marilyn Barber. You will find more information about female immigration to Canada and about the various organizations by reading chapter ten of The Golden Bridge, Young Immigrants to Canada, 1833-1939 by Marjorie Kohli. The virtual exhibit Moving Here: Staying Here includes a section on Domestics Policy. Library and Archives Canada gratefully acknowledges the contribution of Mr. Leverne Baxter for indexing the Helen Sanford and Benjamin Pipe records, and Mrs. Christine Jackson with the British Isles Family History Society of Greater Ottawa for indexing many of the Girls’ Friendly Society records.